JESUS is definitely alive. HE is the one true GOD. HE no longer is hanging on a cross. HE did that for everybody. That’s how much HE loves us. 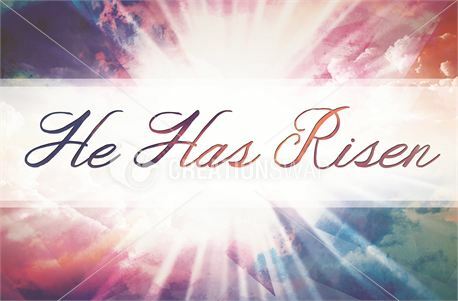 HE rose on the third day just like HE said HE would. When I first saw the Passion of the Christ movie I was very touched and cried. They did a good job. I told myself I would watch it every Easter. I never watched it again. We need to understand that HE took all the sins of the world on HIS shoulders. HE was the sacrifice for us. All that HE did for us, shouldn’t we live for HIM now. I know that there a lot of people who don’t believe on JESUS but there will be a day when every knee will bow and every tongue confess that JESUS is LORD. I encourage you to believe on JESUS now before it’s too late. You have nothing to lose but everything to gain. Your life will be more fulfilled and you can receive the peace and comfort and all the Blessings HE has for you. HIS word is very powerful. HIS NAME is above every name. HIS name has everything powerful and wonderful wrapped in it.